Hiding your bar continues to be "the thing" in cool cocktail bar circles. The practice is a revival of the speakeasy, the 1920s-era bar that had to be kept from the eyes of law enforcement because of prohibition. Obviously today that's not necessary, yet many cocktail bars have gone underground (a la Pepe le Moko or 2 Birds, 1 Stone) or camouflaged their appearance (a la Garage, tucked inside in parking garage) in a nod to that era. The NoMad Bar in New York City, which I wrote about a couple weeks ago, is not a speakeasy. It's easily accessible from the hotel and the street. Perhaps because of this, The NoMad's owners had a bit of fun when it came time to publish a book of the bar's recipes: they hid it the book in the back cover of the NoMad restaurant's cookbook. Thus, if you want to get a copy of Leo Robitschek's The NoMad Cocktail Book--and I assure you that you do--you'll have to spring for The NoMad Cookbook as well, as they are not sold separately. If cost is an issue, get the much less expensive e-book version, which also contains the cocktail book. Reading the book has given me a better appreciation for the bar. An introduction by David Wondrich, author of the wonderful cocktail history book Imbibe!, refers to Broadway between 23rd and 34th Streets as the "cocktail route," an area that in the late 19th and early 20th centuries was known for its bustling hotel cocktail bars and saloons. That era ended with prohibition, which changed the nature of the neighborhood into something quieter. But that has changed in recent years, as restaurants and bars have returned to this corner of Manhattan. The NoMad Hotel is located right in the middle of the "cocktail route" on the corner of 28th and Broadway. The story of how this hotel came to have one of the city's finest cocktail bars begins at Eleven Madison Park, the four-star sister-restaurant of The NoMad where NoMad Bar director Leo Robitschek was working when he was asked to transform that restaurant's bar into something extraordinary. Leo recounts how he came to find himself in this position, a former investment banker who left Wall Street to work the bar and became captivated with the art of finely crated cocktails, a course that started with the Gin-Gin Mule, a refreshing gin, citrus and mint concoction that you'll find in the book's "classics" section. Later, still weighing whether to pursue a career in medicine, the Eleven Madison Park partners offered him the opportunity to establish The NoMad Hotel's bar and Robitschek gave up the stethoscope for the jigger for good. After the informative opening that details the history of the bar and Robitschek's personal background, the book launches into the section common to many cocktail books that covers ingredients, equipment and techniques. If, like me, you have a lot of cocktail books, these sections can seem extraneous, but The NoMad Cocktail Book has a particularly good discussion on garnishes, and I'm considering getting some Cocktail Kingdom dasher bottles after reading the book's description of how they can improve consistent measurement of bitters (it has always bothered me that a "dash" is a rather inconsistent form of measurement). 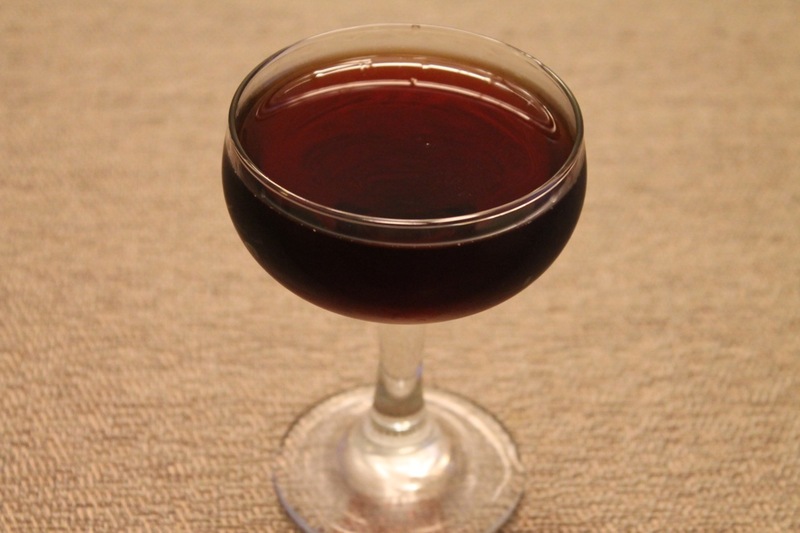 Recipes in the book are divided into five groups: apéritifs, which are lighter cocktails; light-spirited (i.e. gin, vodka and the like); dark-spirited (i.e rum, whiskey and the like); classics--ones you may have heard of and quite a few you probably haven't; and "soft" cocktails (non-alcoholic). The ingredients for each cocktail are listed twice: first, they are listed generically with the most prominent listed first (i.e. Chambray Blanc in the Bohemia cocktail); second, they are listed specifically by brand and amount (i.e. 1 oz. Dolin Blanc vermouth in the Bohemia). Each drink is then rated with 1-to-3 scales to help you get a sense of each drink in terms of being refreshing, spirituous (i.e. strong), venturesome, bitter and citrusy. The creator of most of the cocktails is also named. 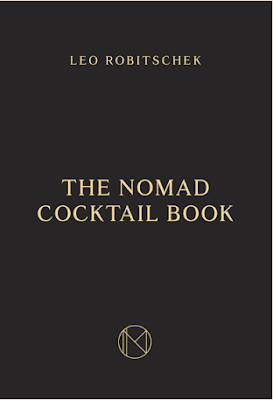 Robitschek appears frequently, but so do the names of his NoMad coworkers--Jessica Gonzalez, in particular, is the creator of many of the book's most appealing drinks (Gonzalez is a veteran of one of my other favorite New York cocktail bars, Death & Co). Browsing through the book, I found lots of cocktails that interested me. Quite a few recipes call for house-made syrups and infusions, a practice that Robitschek pegs back to his transformative days at Eleven Madison Park when the bar realized that the restaurant's pastry chefs could help whip up house-made ingredients that were better than what they were previously buying. Lavender-infused honey, for example, shows up in the Bee Lavender, a mixture of Scotch, Cocchi Americano and lemon inspired by the smoky and floral flavors of Eleven Madison's Park's roasted duck. One of the first cocktails that caught my eye in the dark-spirited section was the Brown Sugar, a drink I remembered from the menu when we visited the bar but that we didn't try. It's a split-base cocktail made from rye whiskey and rum with sherry, Cynar (an artichoke-based amaro) and mole bitters. Aptly named, the strong but sweet drink really does remind you of brown sugar. From the light-spirited section, I tried the Bohemia (pictured at top), a refreshing genever-based drink with aquavit, blanc vermouth and a touch of maraschino liqueur (an ingredient you have to be careful since, since it can easily overpower a cocktail). Unfortunately, our favorite drink from our recent visit to the bar--Always Betz on Black--is not included in the book, but I am hopeful that I will eventually discover its recipe, as I would love to recreate it at home. From the classics menu, I made the Bijou, which I really liked a lot. 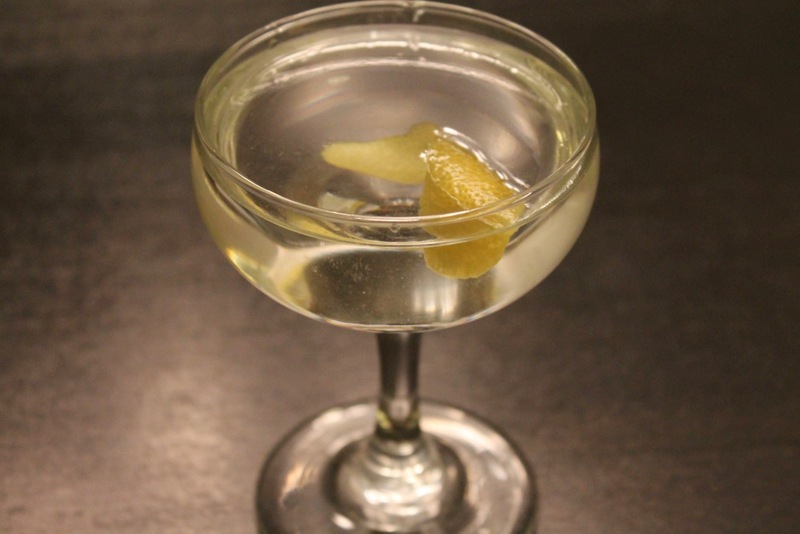 It's a wonderful blend of gin, sweet vermouth and green Chartreuse that's super smooth. Although Robitschek doesn't get into the history of the drink, I looked it up in Imbibe! 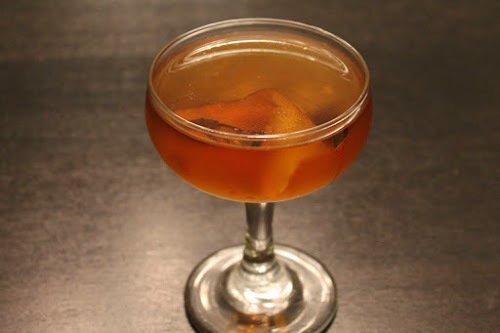 The Bijou dates back to the late 19th Century and is credited to Harry Johnson, a bartender who worked in New York and Chicago and is known for his 1882 Bartender's Manual (an alternative version with Grand Marnier instead of Chartreuse is credited to Chris Lawlor). Most recipes I've seen for the Bijou employ a 1-to-1-to-1 ratio for the drink's three key ingredients, but The NoMad ups the gin and reduces the green Chartreuse--a smart move for balancing the drink. Supposed the cocktail is named Bijou--French for "jewel"--because its' ingredients represent three jewels: gin for diamonds, sweet vermouth for rubies, and Chartreuse for emeralds. Ever since Death & Co's book came out, I've been a serious devotee of their drink recipes, but I'll definitely be spending more time now with the NoMad Cocktail Book, a work that represents serious attention to detail and thought with a wide range of tasty drink recipes perfect for all seasons. Combine all ingredients in a cocktail mixing glass with ice. Stir into very cold, then strain into a chilled cocktail glass. No garnish. Combine gin, vermouth, Chartreuse and bitters in a cocktail mixing glass with ice. Stir until very cold, then strain into a chilled cocktail glass. Garnish with lemon twist.